The food at Walt Disney World is amazing! There are a variety of different offerings and cuisines around all of the theme parks and resorts, so there is sure to be something that everyone will enjoy. 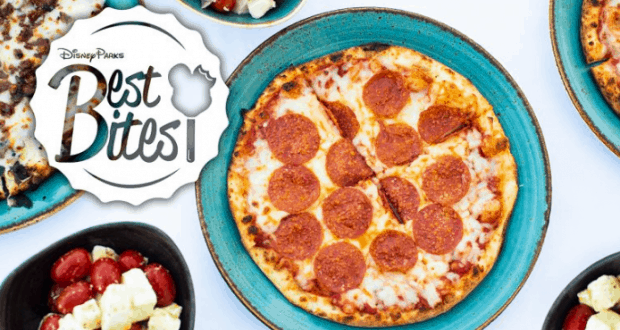 Here is a look at the Walt Disney World Best Bites for September that will have you planning your next trip. Le Cellier Steakhouse at Epcot has added two poutine offerings to the menu. The first dish is Beef Brisket Benedict Poutine, which is topped with Canadian cheddar, Montreal smoked brisket, sauce choron, and a 62-degree poached egg. The second dish is Beef Bourguignon Poutine, which is topped with gruyere cheese, truffle, and garlic aioli. Head over to Casey’s Corner at Magic Kingdom Park! The Hot Diggity Dog of the Month for September is the Jalapeno Popper Dog. It’s topped with cheese sauce, garlic ranch drizzle, bacon bits, jalapeno poppers, and pickled jalapenos. If you will be visiting in October the Hot Diggity Dog of the Month will be the Loaded Mashed Potato Hot Diggity Dog. This one is topped with garlic mashed potatoes, caramelized onions, cheddar, bacon, scallion sour cream, and green onions. 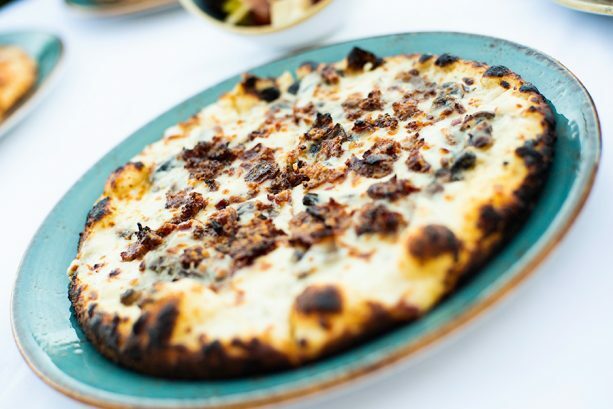 If you love flatbreads, head over to Pinocchio Village Haus for the Flatbread of the Month. September’s is a Breakfast Flatbread, which is topped with sausage gravy, cheddar cheese, and bacon. The Flatbread for October is the Apple Sausage and Brie Flatbread with apple butter spread, brie cheese, sausage, apples, sour cream, lettuce pico, and cinnamon sugar. You will also want to check out the Sweet Thai Chili Shrimp at Prince Eric’s Village Market. 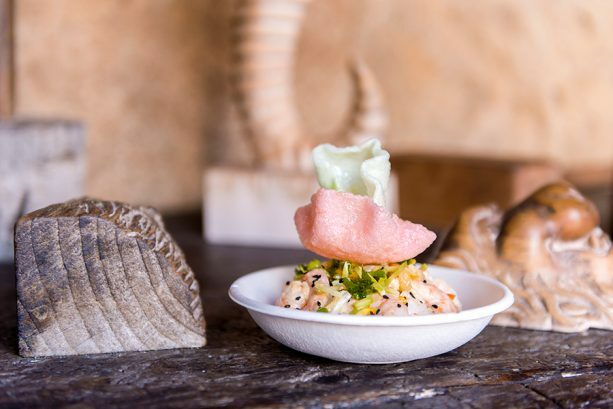 The shrimp is tossed in chili mayo and consists of vegetable slaw, ginger vinaigrette, poached shrimp with salt and lemon, and black sesame seeds. Liberty Square at Magic Kingdom has a couple skewers, the Chicken Skewer marinated with a spicy sweet sauce and the Candied Bacon Skewer. 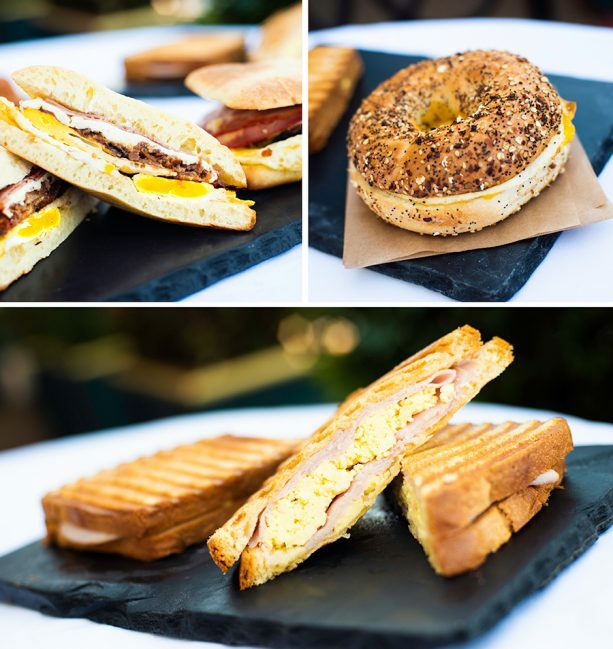 Over at Disney’s BoardWalk, the BoardWalk Bakery has new breakfast sandwiches. Options include the Butter Butter Sandwich, the Everything Everything Sandwich, and the Ooey Gooey Sandwich. The Butter Butter Sandwich comes with shaved ham, scrambled eggs, and buttery fontina cheese spread on brioche. The Everything Everything Sandwich comes with a cage-free fried eggs and Tillamook cheddar on an everything bagel. The Ooey Gooey Sandwich comes with a cage-free poached egg, cheddar, mozzarella, capicola, and an oven-dried tomato on an artisan roll. While at the BoardWalk, you can also check out the Pizza Window. Here you can order a personal or a whole pizza including options like cheese pizza, pepperoni pizza, mushroom pizza, and a white pizza with bacon and mushrooms. Allow offered at the Pizza Window is a Meatball Sub and an Italian Hoagie Sandwich, which both come with chips. If you want something sweet, then try the Mini Cannoli! Which of these amazing food items would you most like to try?